Brand: Wilton 2105-5354 Units: 2 pcs. / pan Aluminum springform pan with removable, waffle-textured bottom. Spring lock releases sides. 9" diameter x 3" deep. 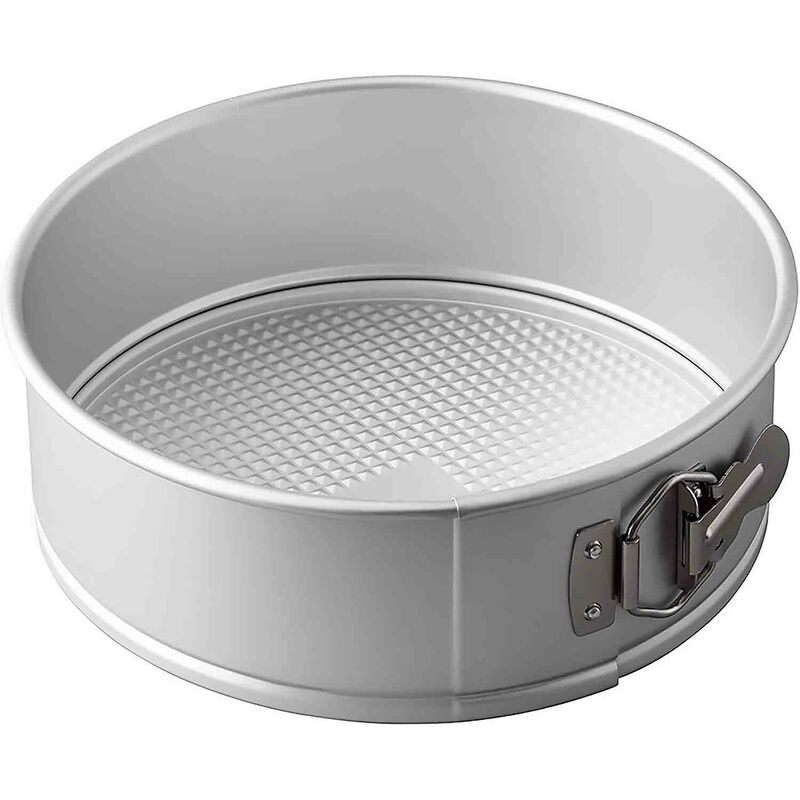 Aluminum springform pan with removable, waffle-textured bottom. Spring lock releases sides. 9" diameter x 3" deep.